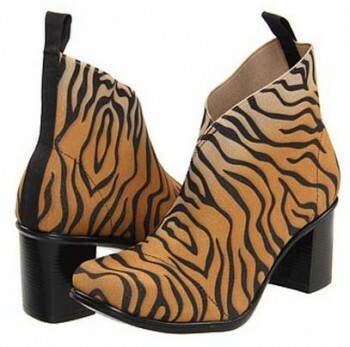 These Vivanz Camille Boots have a wicked fun look. They have a stretch fabric upper with crossover vamp detail. The rounded toe offers a casual-chic aesthetic. They are very comfy, cool, go with everything from pencil skirt or business suit to jeans, elegant dress, or even funny t-shirts. These are very much recommended for people how love wearing unusual shoes that no one has. Every girl needs a pair of red boots in her wardrobe, and these Ariat Heritage Western Boot fit the bill. 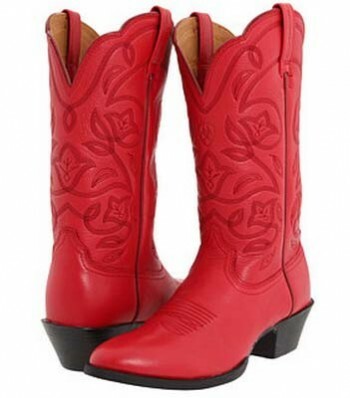 These boots are a wicked cool red that is bright and will have everyone drooling over awesome thet are. So, put your serious western style on display with these gorgeous cowboy riding boots.